The Machine Networks Pro plan is a suitable solution for online shop web sites and large businesses requiring increased bandwidth and resources. 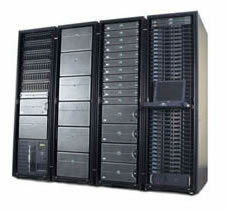 It is an ideal upgrade plan from our Advanced web hosting package. Our UK based hosting plans feature an exceptionally fast, dependable and secure network, uncrowded servers, quick and helpful 24/7 client support and excellent uptime statistics. As your web site requirements change over time, your package can easily be upgraded to suit your changing needs. All of our web hosting plans include free set-up and a 14 day money back guarantee. This gives you a great opportunity to evaluate our reliable service and quality UK web hosting, to see if Machine Networks Ltd is the right web host for you. If you have any questions about our Pro plan, or would like help choosing the best hosting package for you, please do not hesitate to contact us.